As the massively solid Pullman Building was under construction on Michigan Avenue in Chicago in 1884, a young Adolph Hieronymus was traveling to Chicago from his native Germany. 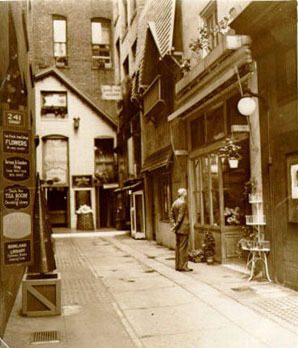 Within a few years he would run a restaurant of renown on the building’s top floor. The building was to be the new headquarters of the Pullman Palace Car Company which manufactured sleeping and dining cars used by major railways. When the imposing building was completed, the company occupied two and a half of its nine floors while the rest of the space was rented for offices and what were known then as “bachelor apartments,” probably lacking anything but the most rudimentary cooking facilities. 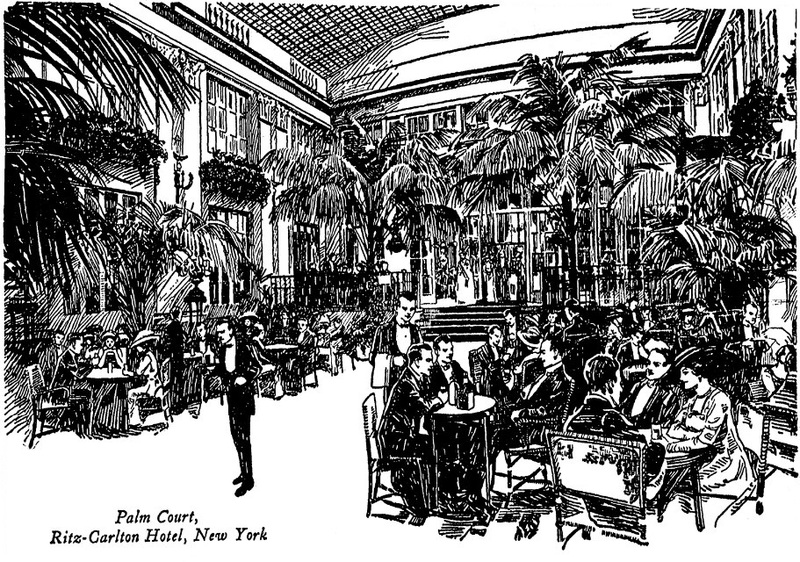 For the first few years the Pullman company ran its own restaurant, The Albion, on the 9th floor. It was considered advanced at the time to locate restaurants on top floors so that cooking odors would not drift throughout the building. In addition, diners at The Albion, and later the Tip Top Inn, had excellent views of Lake Michigan. 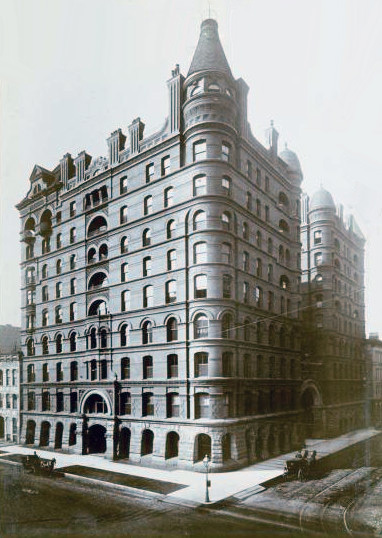 During the Columbian Exhibition in 1893 Adolph Hieronymus left his job as chef at the Palmer House and took over the Pullman building restaurant, renaming it the Tip Top Inn. 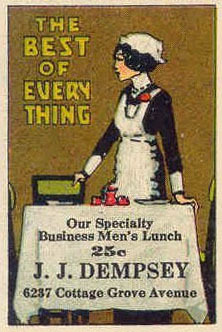 Under his management, it became one of Chicago’s best restaurants, hosting society figures and professional organizations. Until the Pullman company expanded its offices onto all eight floors below the restaurant, men living in the 75 or so apartments on the upper floors were also steady customers of the Inn, often having meals sent down to them. 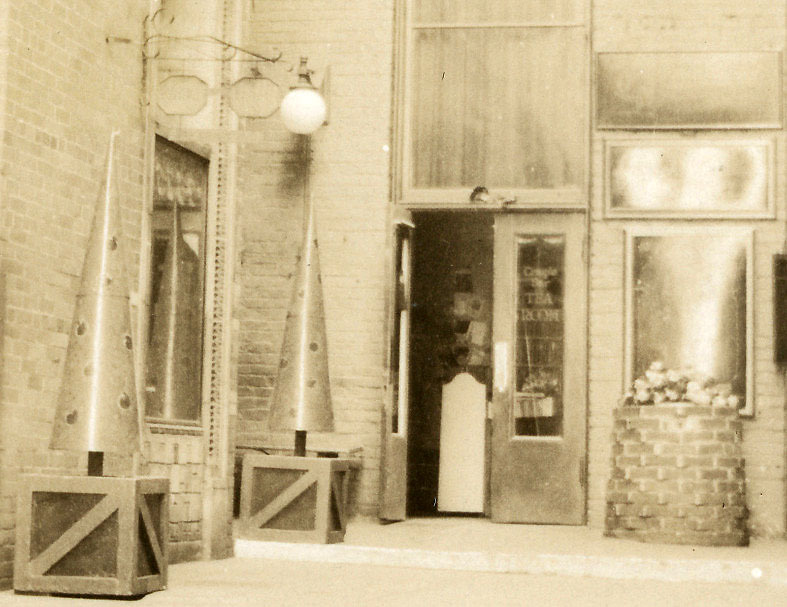 The space occupied by the Tip Top Inn was divided into a bewildering number of rooms, at least five and maybe more. Each had its own decorating scheme. 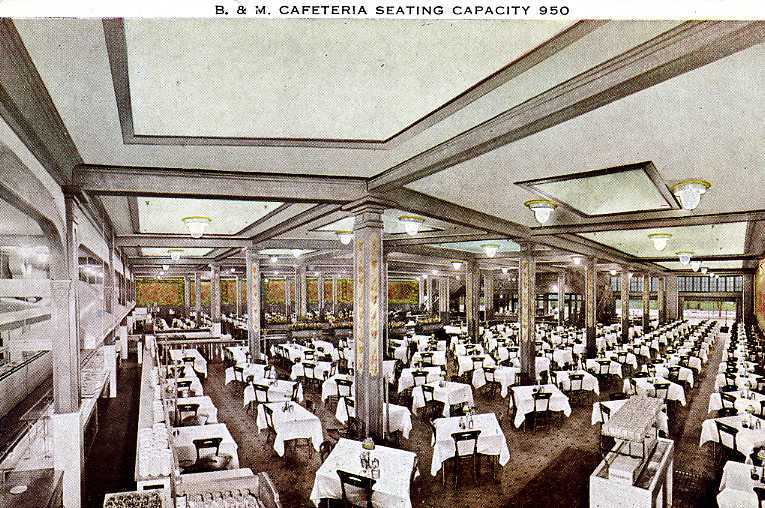 Over the years – but surely not simultaneously — there were the Colonial Room [pictured at top ca. 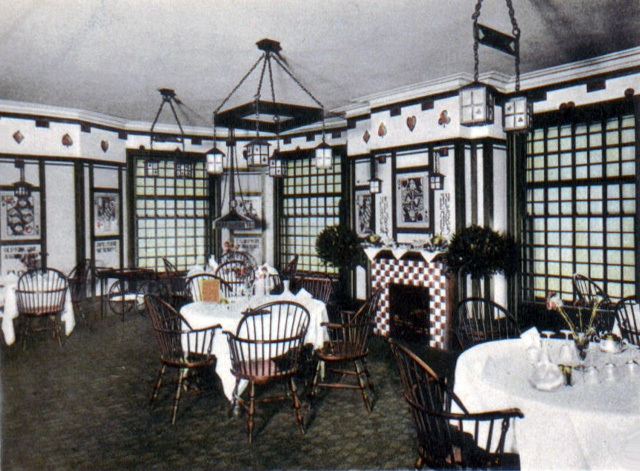 1906], the Nursery, the Whist Room [pictured below], the Charles Dickens Corner, the Flemish Room, the French Room [pictured above], the Italian Room, the Garden Room, and the Grill Room. The Whist Room was decorated with enlarged playing cards and lanterns with spades, hearts, diamonds, and clubs. 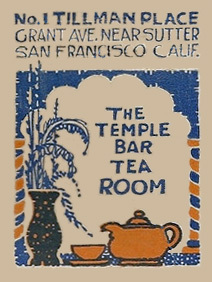 The lantern and suits also decorated the Inn’s china and menus. The outlawing of alcoholic beverages proved challenging to the Tip Top Inn, as it did to other leading Chicago restaurants of the pre-Prohibition era such as Rector’s, the Edelweiss, and the Hofbrau, all of which would go under before the ban on selling alcohol ended. 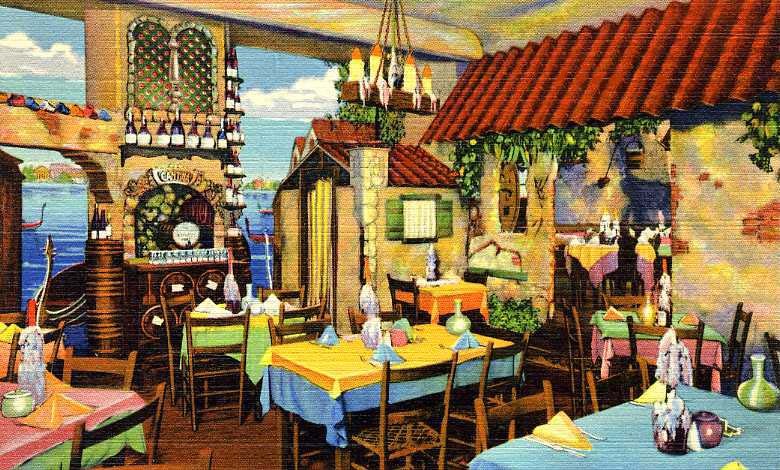 Perhaps to attract new customers, Hieronymus created an associated restaurant on the 9th floor called The Black Cat Inn, with somewhat lower prices than the Tip Top Inn and a menu featuring prix fixe meals. The Black Cat was unusual at the time for having a staff of Black waitresses – who served in restaurants far less often than Black men. 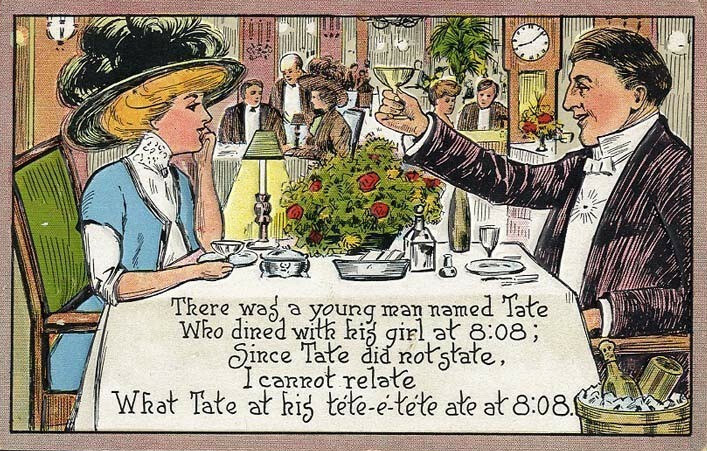 The Tip Top Inn, just like the Albion and the Pullman dining cars, had always been staffed with Black waiters, some of whom worked there for decades. 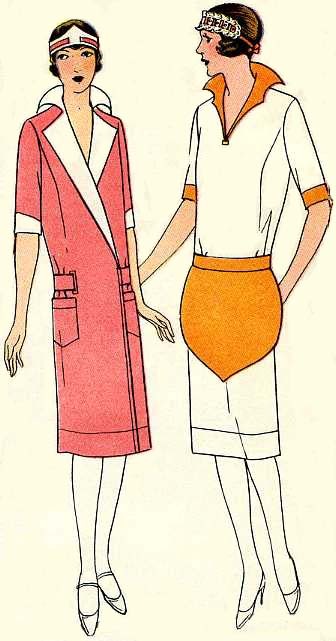 It was said that anyone who worked at the Tip Top could find employment in any restaurant across the country. “Black Bolshevik” Harry Haywood wrote in his autobiography that he quickly worked his way up from Tip Top Inn busboy to waiter and then landed jobs on the ultra-modern Twentieth-Century Limited train and with Chicago’s Sherman Hotel and Palmer House. 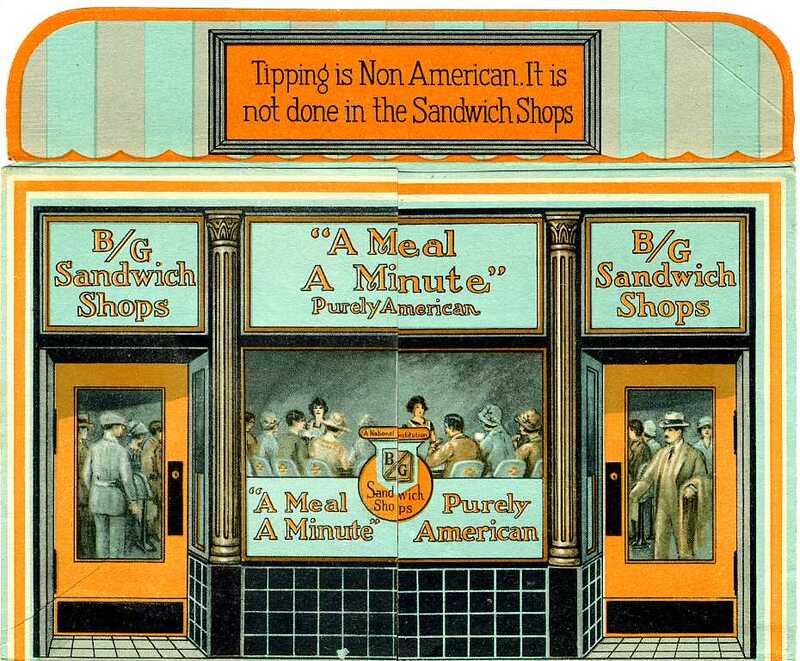 By 1931 when the Tip Top Inn restaurant closed, it was regarded as an old-fashioned holdover from a previous era. 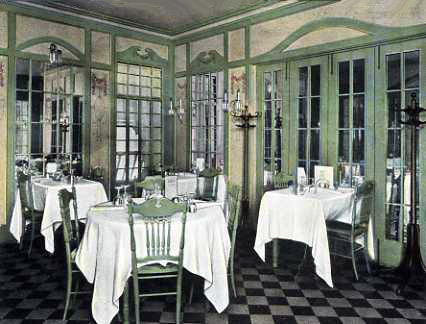 Its extensive menu of specialties such as Stuffed Whitefish with Crabmeat and Suzettes Tip Top, some of the more than 100 dishes created by Hieronymus, was no longer in vogue. 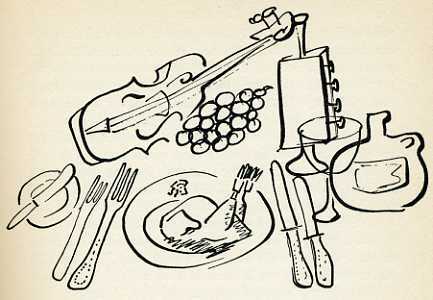 Aside from Prohibition, Hieronymus attributed the restaurant’s demise to the death of gourmet dining. 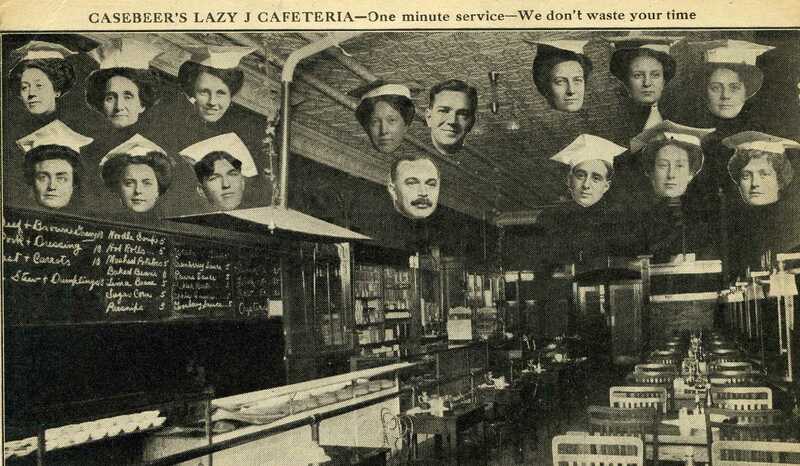 Hieronymus died in1932 but he and his restaurant were remembered by Chicagoans for decades. The Pullman Building was demolished in 1956. Even as the Depression deepens, the number of full-fledged restaurants continues to increase, from 134,293 in 1929 to 169,792 in 1939. Immigration slows in response to restrictive legislation of the late 1920s, reducing the supply of professional waiters and cooks. Female servers make up more than half of waitstaffs. 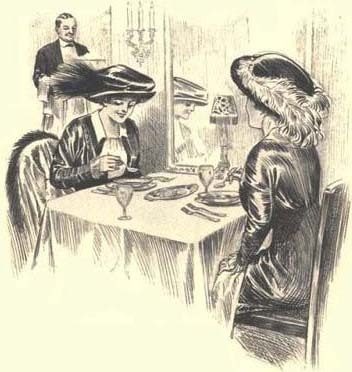 The economical fixed-price meal, which had virtually been replaced by a la carte service, returns to popularity. 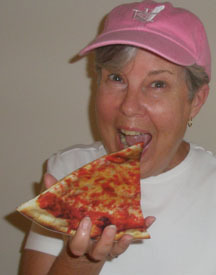 Promotions such as “all you can eat” and “free coffee refills” are featured. After the repeal of Prohibition nightlife revives. Many diners, accustomed to speakeasies, show a preference for small, intimate restaurants. All-white interiors give way to imaginative decor which mimics ships or European courtyards. Federal financing facilitates modernization, encouraging restaurants to add streamlined fronts and air-conditioning. 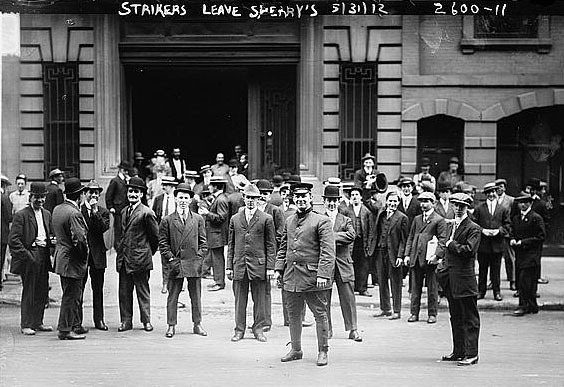 Deprived of bootlegging revenues, racketeers infiltrate unions and extort restaurants, dispatching picketers and stench bombs to those that don’t play along. 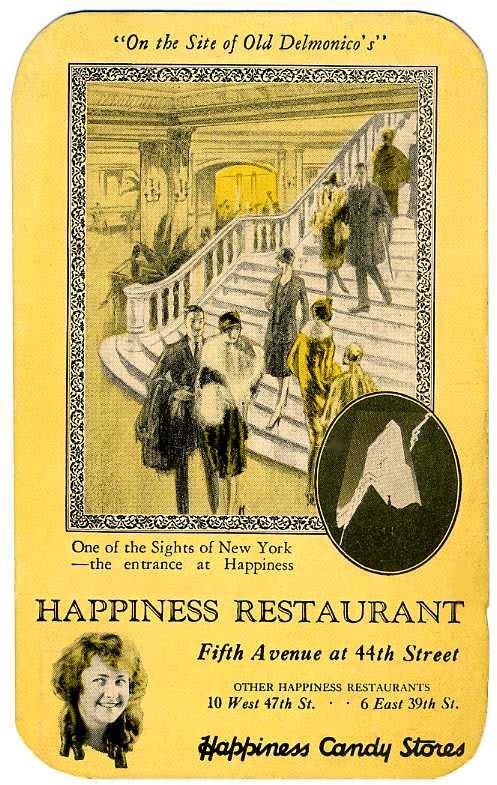 1931 Restaurants drop prices and see patronage rise. 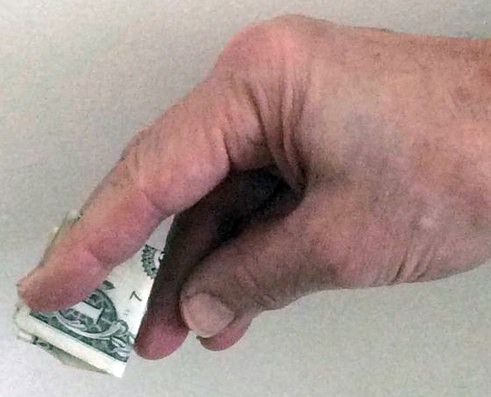 In Chicago prices go down by 10% to 12%. 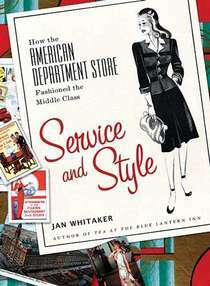 1932 Stores install lunch counters to lure shoppers and capture a piece of the flourishing lunch trade. 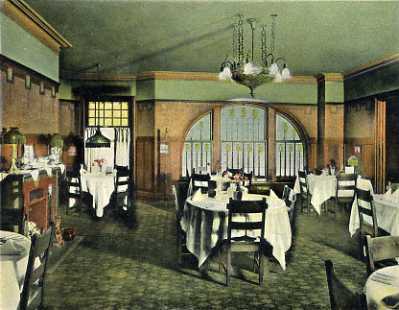 Architect Ely Jacques Kahn designs a sleek tea room with vermilion-topped tables and green and black terrazzo floors for the Broadmoor Pharmacy on NYC’s Madison Ave. – Chains such as Schrafft’s, Childs, Horn & Hardart, Lofts’, and Bickford’s expand as they take advantage of reduced rents and absorb failed competitors. 1933 Expecting all alcoholic beverages to be legal by the end of the year, liquor suppliers court restaurateurs. In Amherst MA a small lunchroom operator receives complimentary wine and champagne from the S. S. Pierce Company. 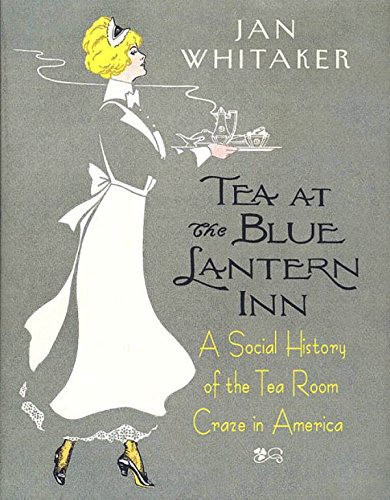 – The Afro-American proprietor of the Launch Tea Room in Sheepshead Bay decides to cancel plans for wintering in Palm Beach and turn her Long Island tea room into a free dining room for the poor. 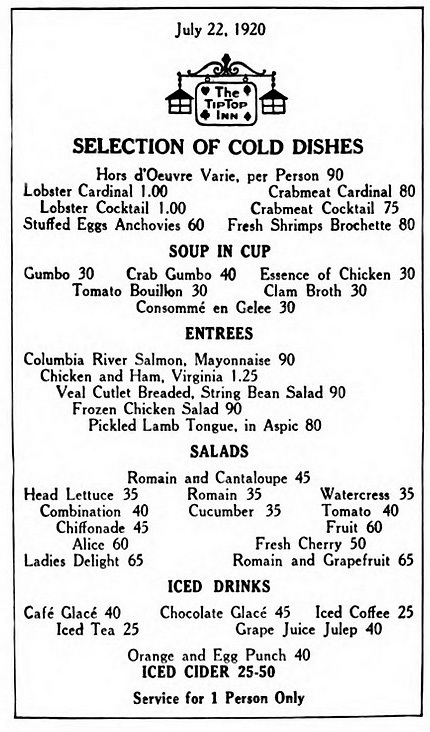 1935 The pro-America mood of the 1920s continues, exemplified by a column in a restaurant trade magazine which asserts preposterously that Delmonico’s got its recipes from Southern plantations while in the 1880s French chefs “flocked to this country” to learn American cooking. 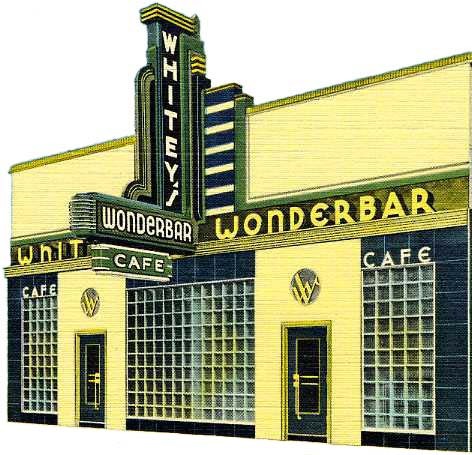 — Many restaurants remodel their fronts (see above illustration) as towns across the country launch “Modernize Main Street” campaigns backed with federal money. 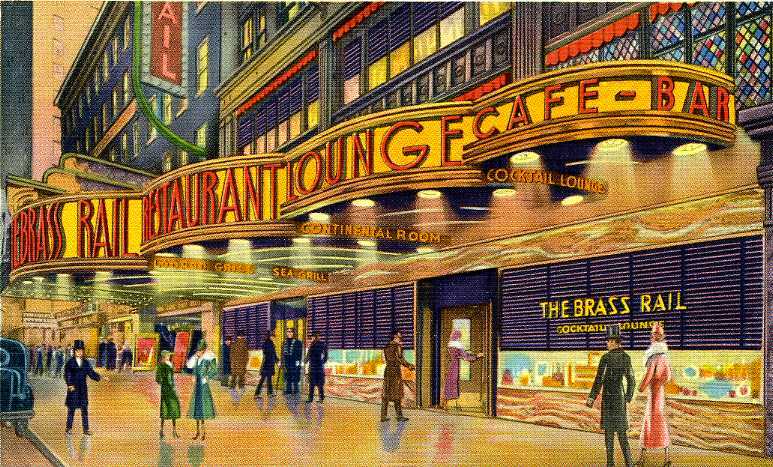 1936 An investigation reveals that Jack Dempsey’s, Lindy’s, The Brass Rail, and numerous cafeterias are among the NYC eating places that have capitulated to shake-downs by mobsters. 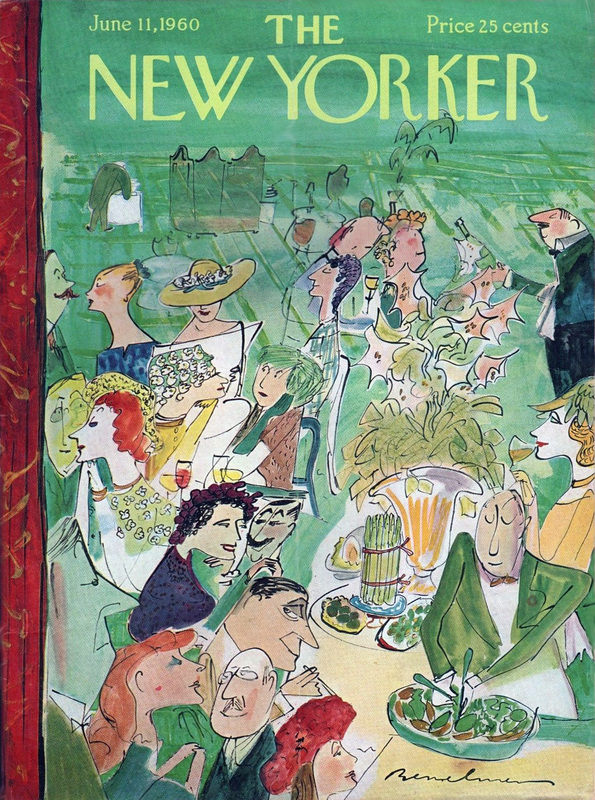 1937 The nationwide Childs chain reports that 47% of all alcoholic drinks served in their dining rooms are cocktails, 22% are highballs, 8% are wines (mostly sherry and port), and the remainder are cordials. Beer is the most popular drink in summer. 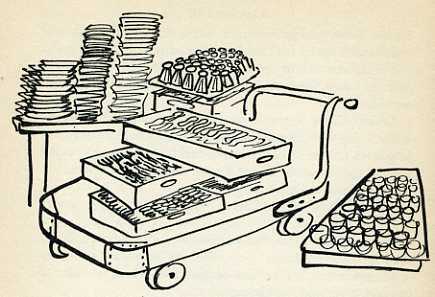 1938 The president of the National Restaurant Association warns members that the number of places serving meals has quadrupled in the past 15 years and only the ingenious will survive.